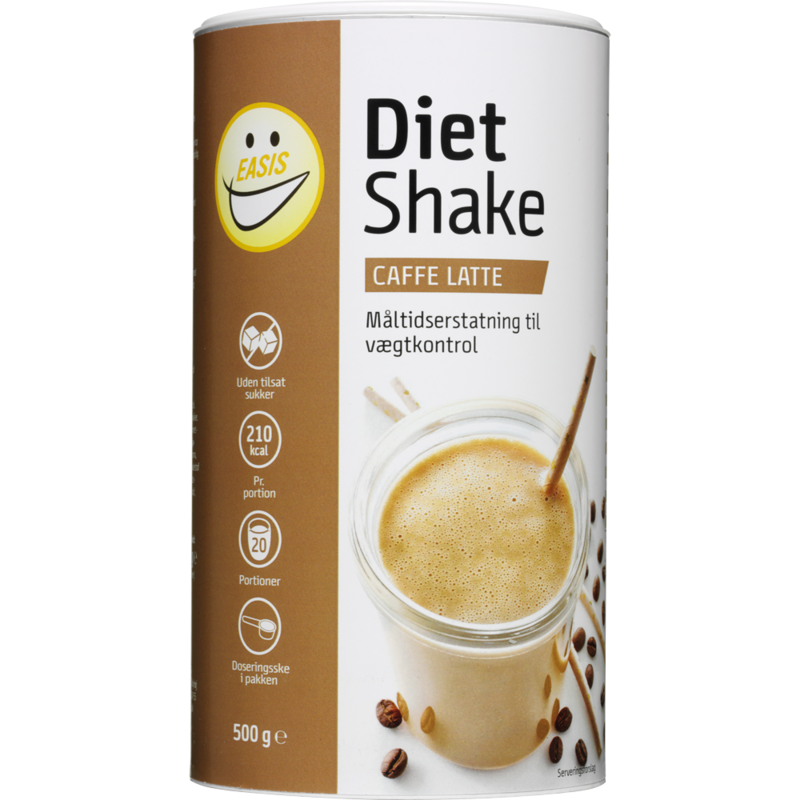 EASIS Diet Latte Shake is a powder mixer which just need to have milk added in order for you to have delicious, smooth shake. 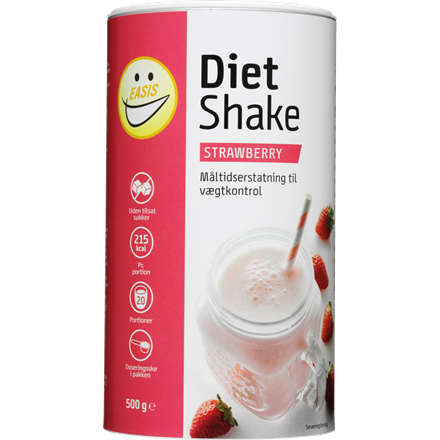 The shake has no added sugar and contains all the vitamins, minerals and nutrients, which your body needs in a main meal. 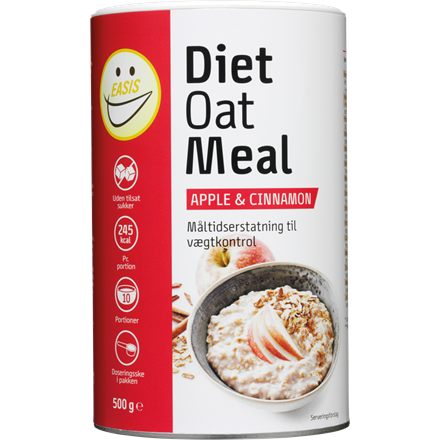 Thereby you ensure getting the proper nourishment while still being able to focus on weight control. Easy and simple! 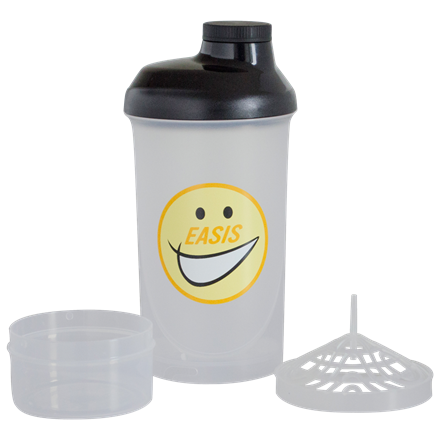 Powder mixer for a latte shake. 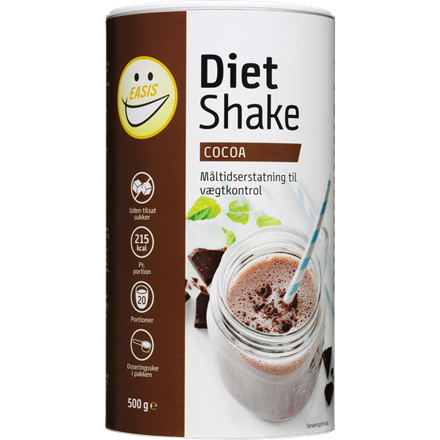 Meal replacement for weight control. Contains sweeteners. 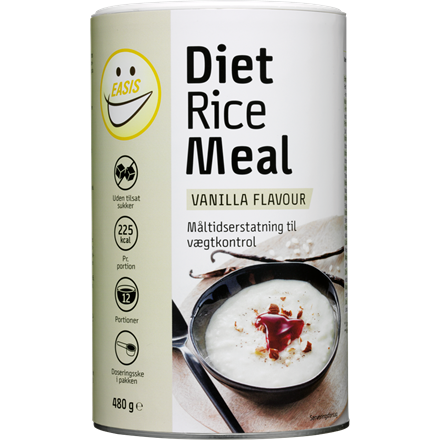 No added sugar, only naturally occurring sugar. 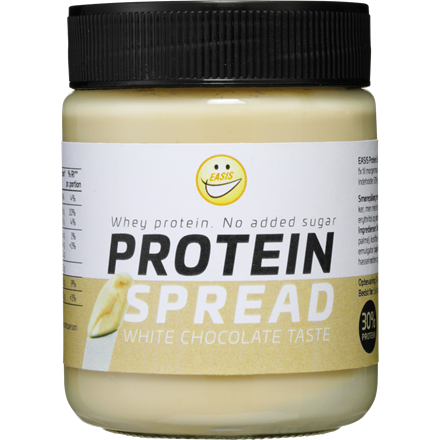 MILK protein, SOY protein isolate, dietary fiber (inulin), skimmed MILK powder, vegetable oil (SOY), coffee extract (6%), emulsifier (SOY lecithin), magnesium carbonate, low fat cocoa powder, dipotassium phosphate, flavour, thickener (guar gum, xanthan), salt, iron diphosphate, vitamin C, sweetener (sucralose), niacin, zinc oxide, vitamin E, copper sulphate, manganese sulphate, pantothenic acid, vitamin B6, vitamin B2, vitamin B1, vitamin A, folic acid, potassium iodide, sodium selenite, biotin, vitamin K1, vitamin D3, vitamin B12. May contain traces of egg, lupine and gluten.